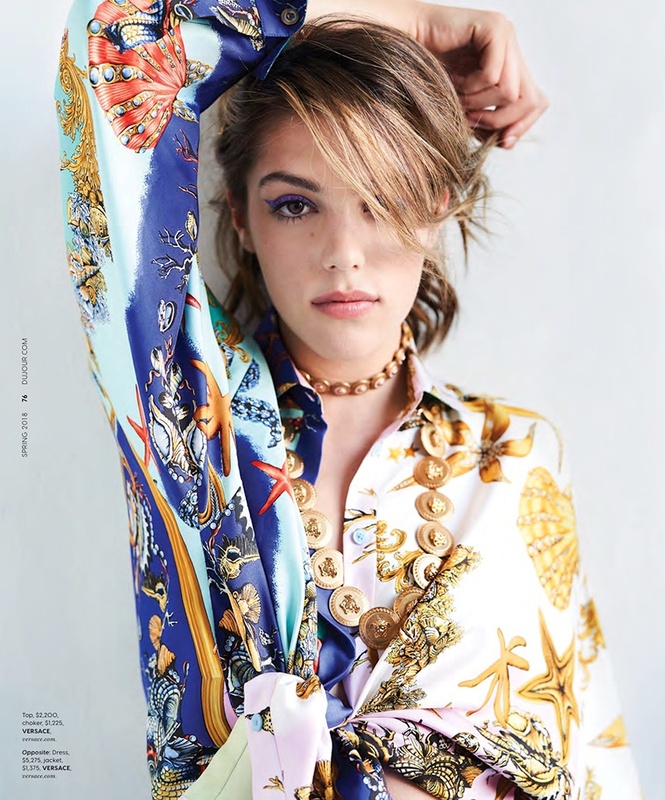 Gracing the pages of DuJour Magazine’s Spring 2018 issue, Sistine Stallone lands a fashion spread. The daughter of Sylvester Stallone previously appeared in shoots with her sisters, but now she is breaking out on her own. Photographer Patric Shaw captures the 19-year-old wearing looks from the spring collections. Stylist Joseph Delate dresses Sistine in looks featuring outfits from labels like Versace, Chanel and Louis Vuitton.